Momo: the sound, the ambience and the memory of its smell could bring water to the mouth. In Kathmandu valley, this steamed dish used to be commonly cooked by the Newar community. Momo is primarily made with the ground buffalo meat wrapped in thin dough about 3 inches in diameter from all purpose flour called maida. Water buffalo meat could be the primary reason that momos were limited to the Newar and handful of other community in the past. 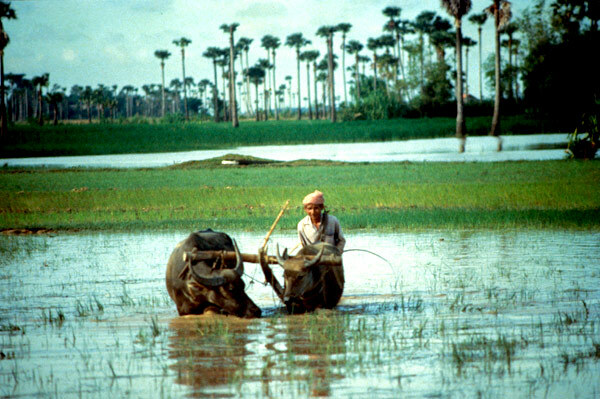 Due to the religious taboos, the buffalo meat was prohibited amongst other castes. 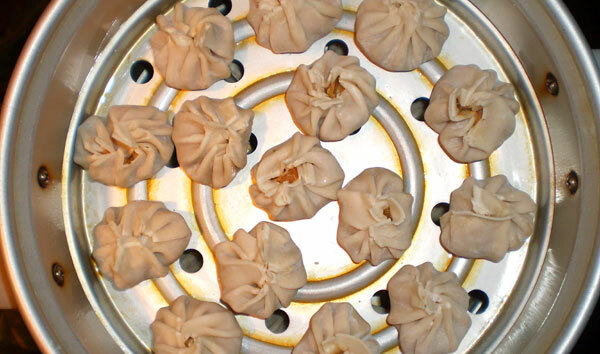 Many Nepalese believe momo originated from Tibet, but similar dishes are found throughout the Central Asia. In recent years, the popularity of momo has risen very high – you probably won’t find anyone in Kathmandu who doesn’t like momo or at least have heard about it. Now, you can easily find momos with turkey, chicken, goat, beef or mixed vegetables. The prevalence of vegetarian Momo is the proof of the momo mania. 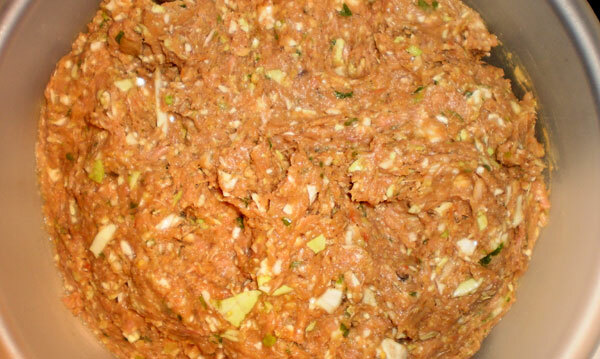 Momo is normally eaten with a sauce made out of tomato, cilantro and sesame seed and/or combination of one or many types of nuts such as cashews, peanuts, walnuts. Adding nuts to the sauce not only provides a good source of needed fat for your body but also gives a unique taste that makes a “plate” licking dish. 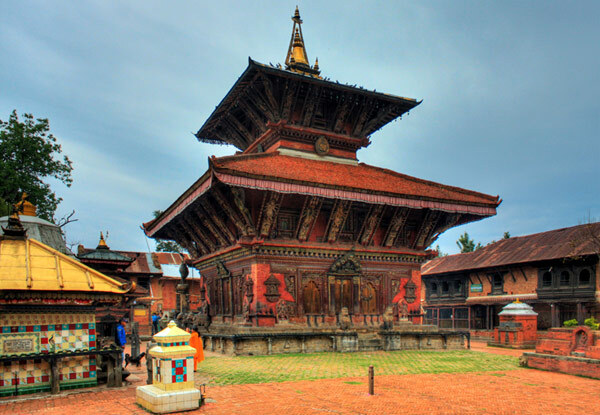 Although momo comes in many different shapes/sizes and with varieties of meat, the best and the authentic Kathmandu Momo would be the one made with the ground buffalo meat. No one could dispute momos is the mostly eaten street food in the Kathmandu as well as a party dish for Nepal expat community living abroad. In the United States, I make Momo with the turkey meat. This is not by my choice but what I can commonly find in local grocery stores. Many people make momo with wrapper that is freshly made using all purpose flour. For me, that is an extra chore. Thus, for my own convenience, I use wonton wrapper, easy to wrap and readily available in most Asian (e.g., Korean) grocery stores. Oh yeah- wrapping the momo requires a skill. If your momo is wrapped too tightly and close to the meat, it might not be as good as the one that has a small space between the meat and the wonton. 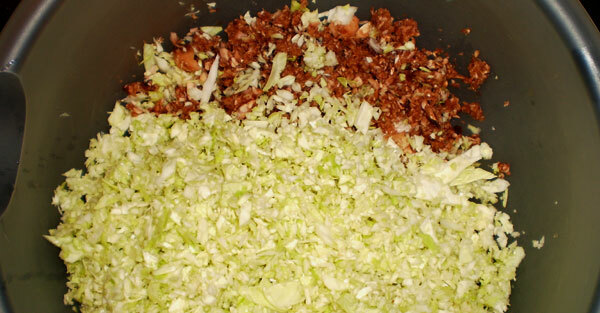 Add all the ingredients together (beside wonton wrapper) mentioned above in a bowl that is large enough to mix them all together. Best if mixed with bare (cleaned) hand for about 10/15 minutes. 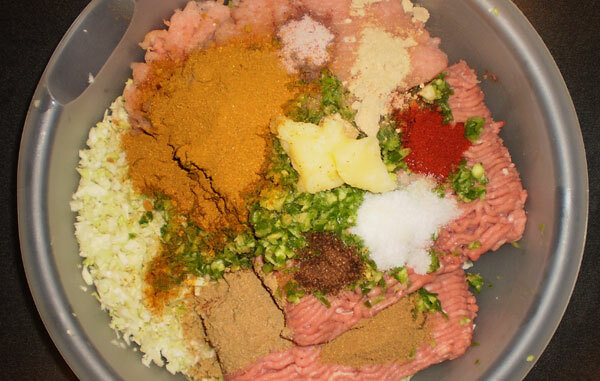 Upon mixing, you can put one tsp of mixed meat on to each wonton wrapper and wrap it leaving a space between meat and flour. Spray some vegetable oil on the steamer or rub some hardened butter or ghee. Place wrapped momo on steamer. Steam for 10/12 minutes. The good indicator is when the dough just turns from dull matte texture to slightly shiny. Serve with sauce of your choice. Momo is the dish that can be most enjoyed making and eating with group – rather than just by yourself. 4 comments for this post.